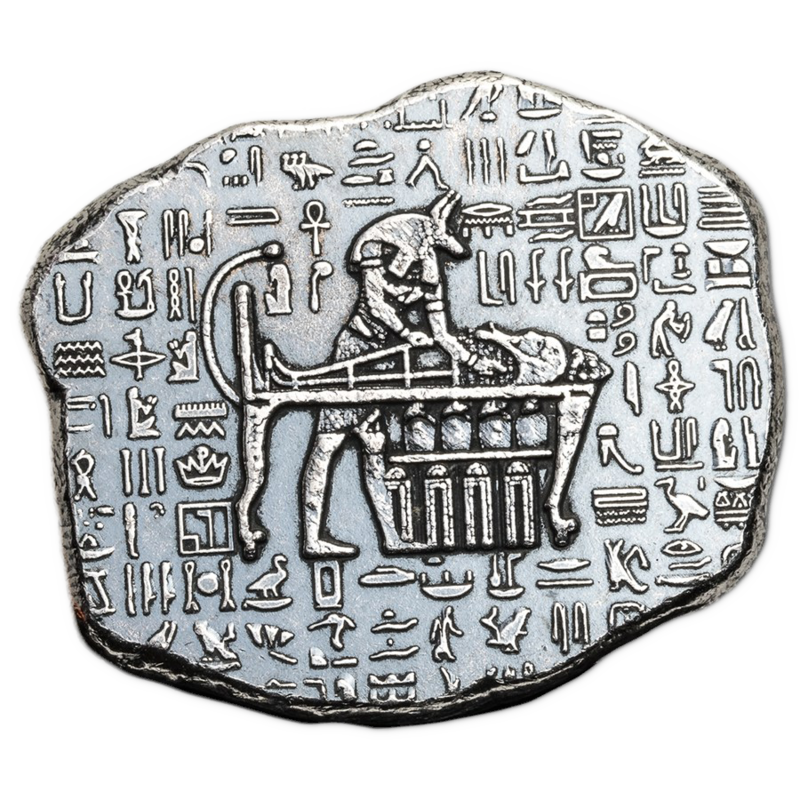 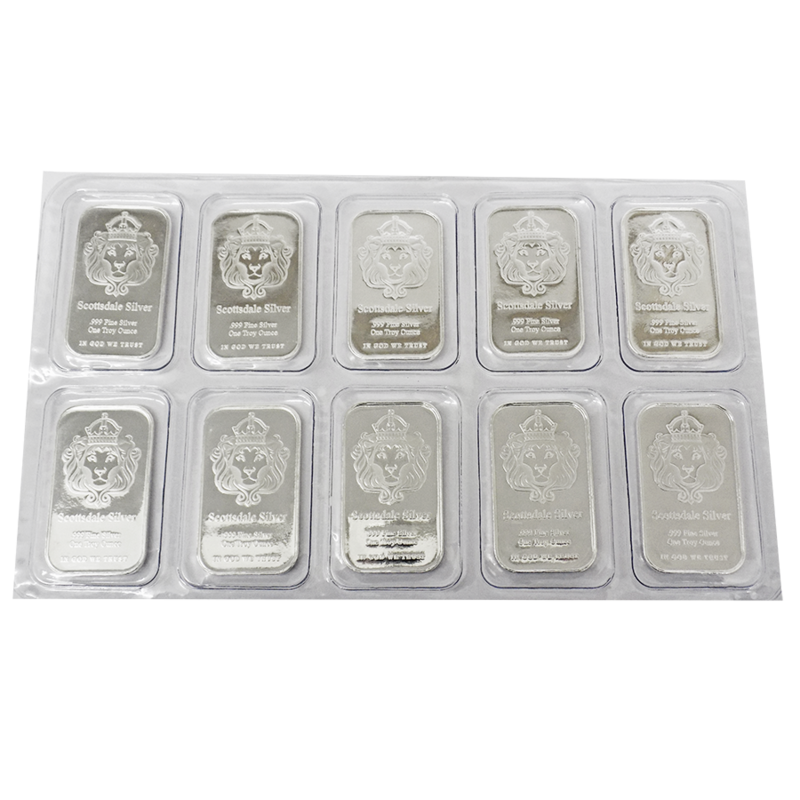 These Building Block 1oz Silver Bars are designed specifically for stacking and building, and are reminiscent of the popular children's building blocks toys. 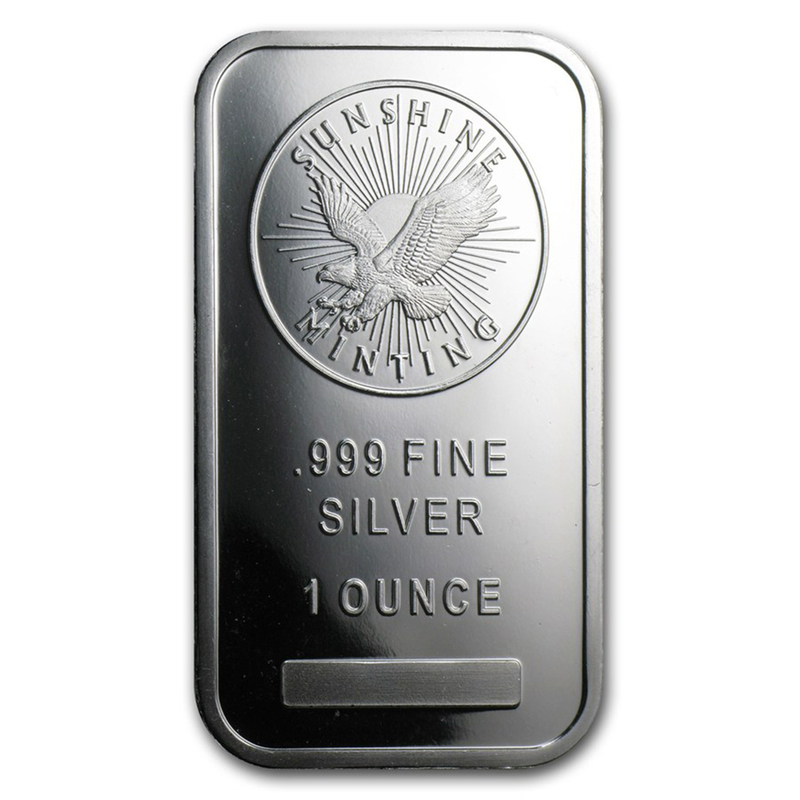 This starter pack contains 12x 1oz bars, packaged in a metal storage tin. 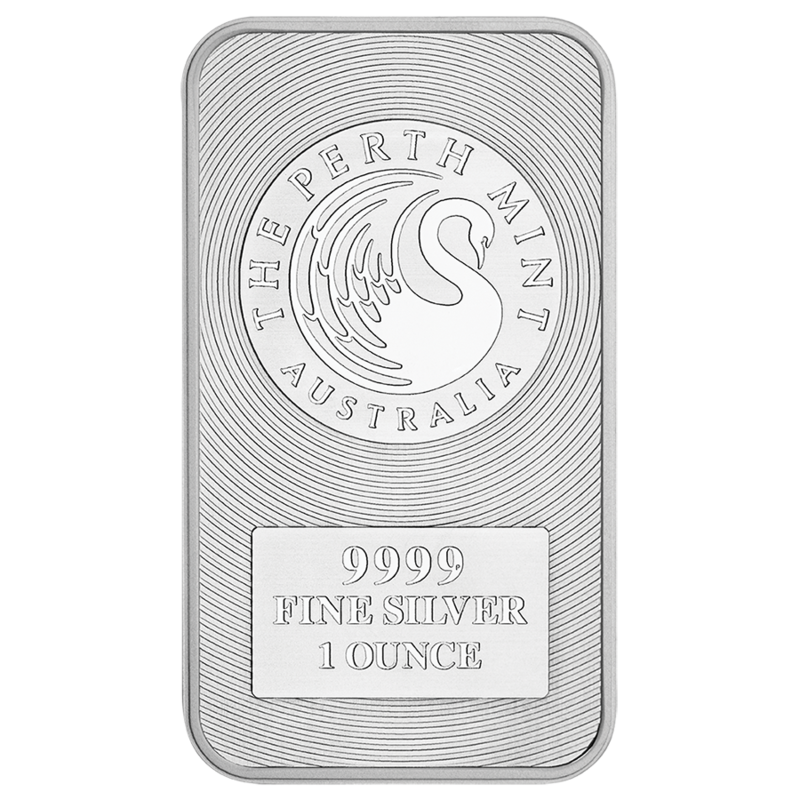 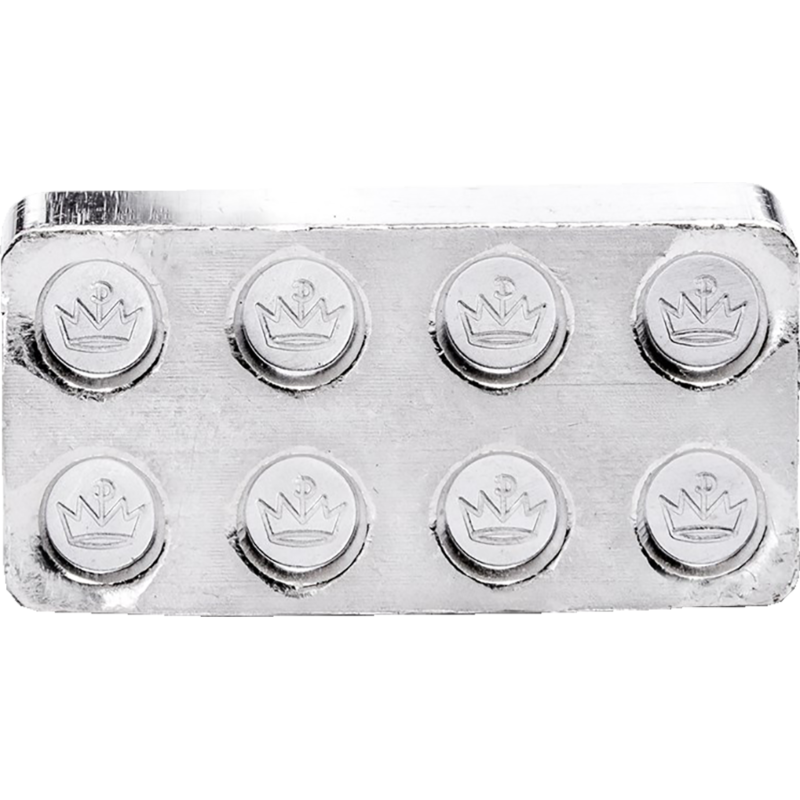 Each bar is stamped on the top with the words '1 Troy Ounce, .999 Fine Silver', with the back featuring a repeating pattern of the Monarch crown logo. 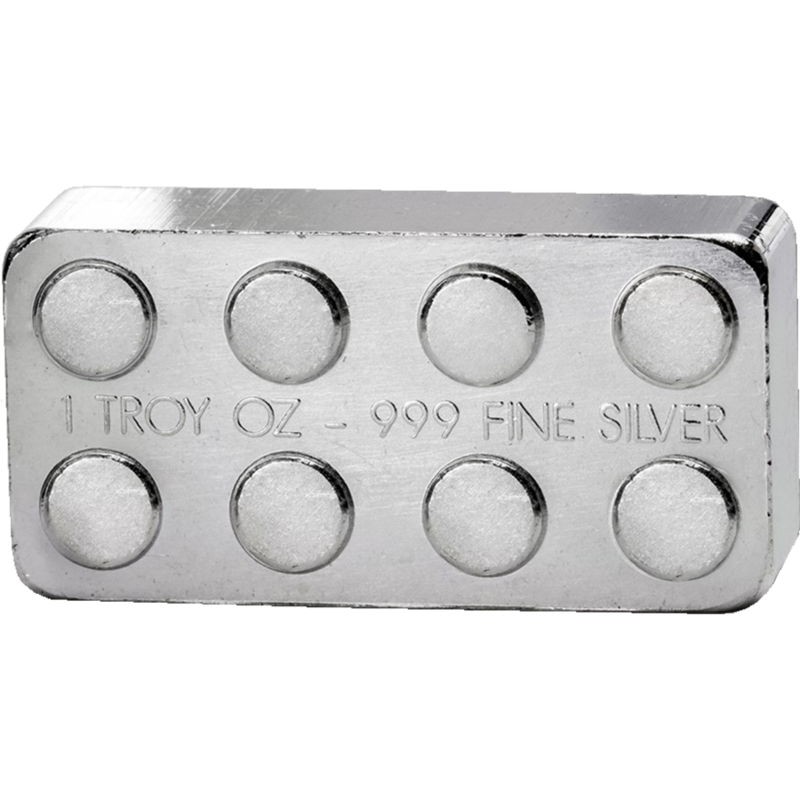 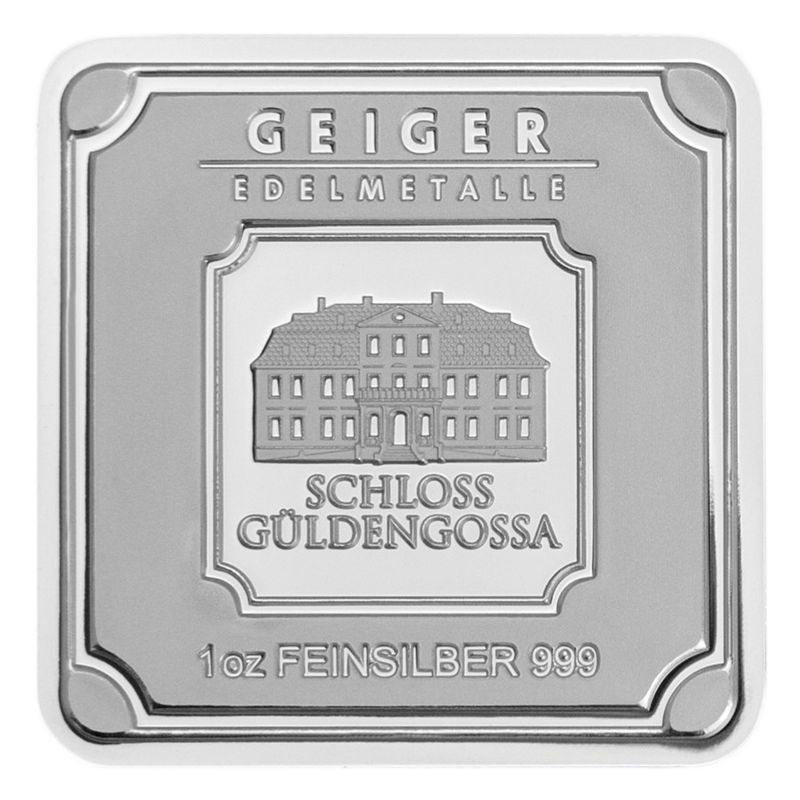 Each bar weighs 1 Troy Ounce and is 999.0 Fine Silver. 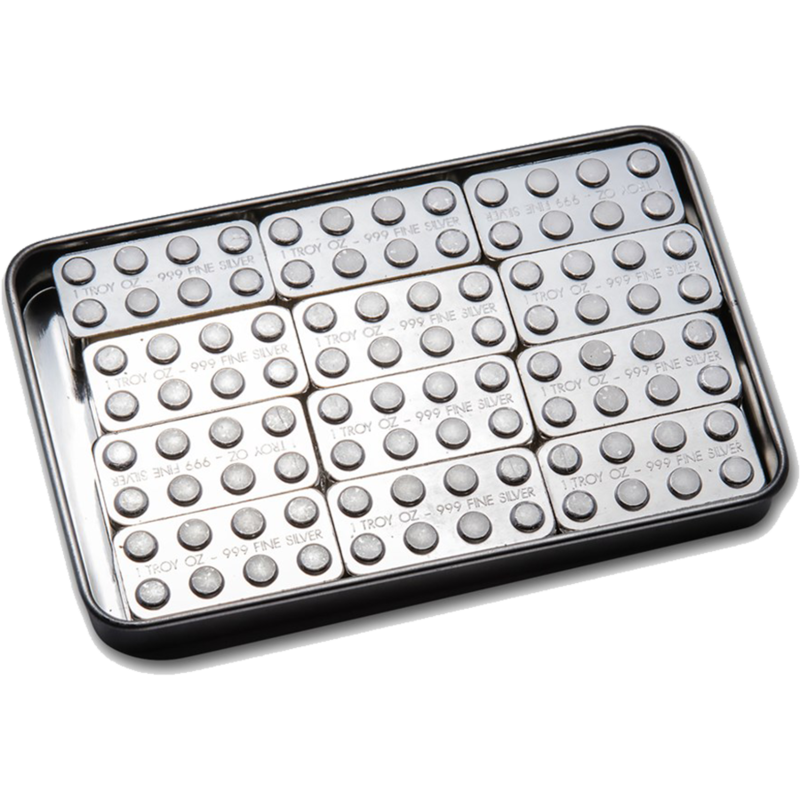 Supplied in a slide top storage tin. 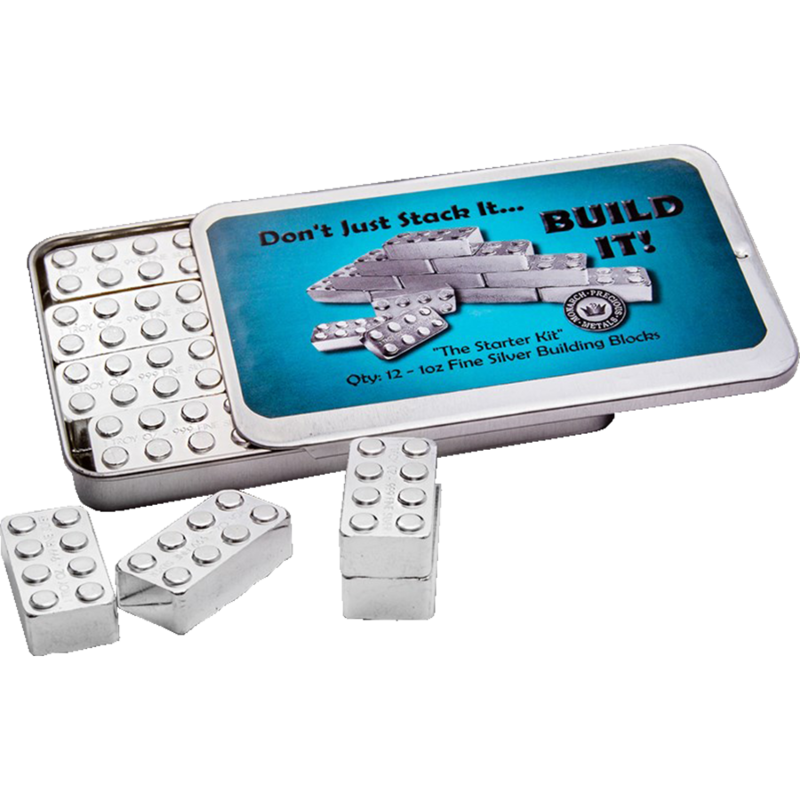 These Silver building block bars are the perfect way to get young investors interested and involved in investment, in a fun and nostalgic way. 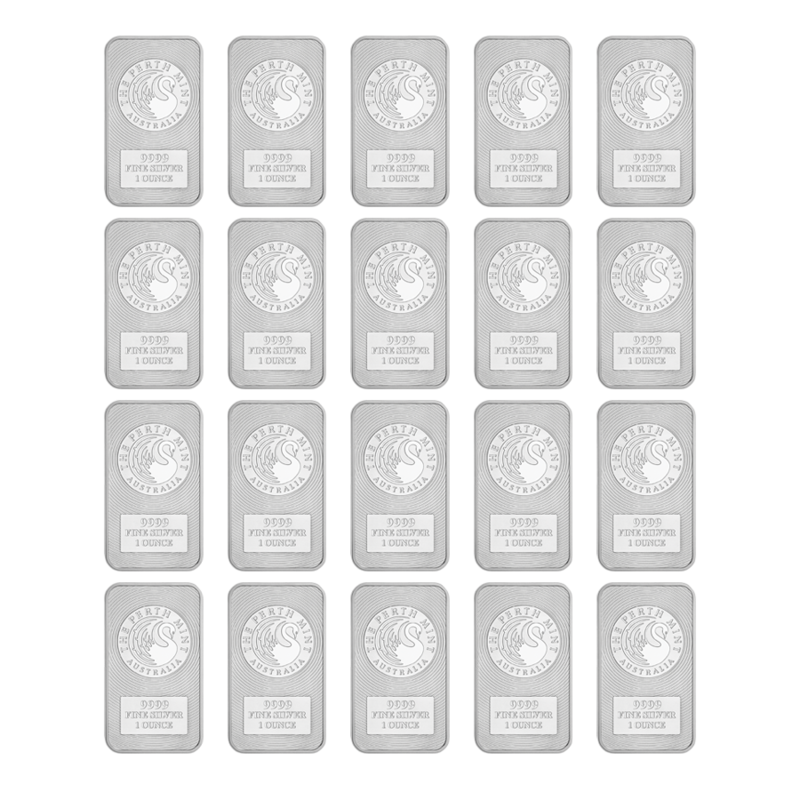 Silver is subject to VAT at the usual rate of 20%.